Sweet olive (Osmanthus fragrans) is an evergreen with delightfully fragrant blossoms and dark shiny leaves. Virtually pest free, these dense bushes require little care and are easy to propagate from sweet olive cuttings. For more information about sweet olive tree propagation, read on. 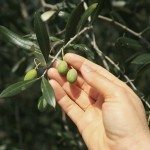 If you want to learn how to root a sweet olive tree, you’ll be glad to know that sweet olive propagation is not difficult. The most effective propagation method for this small tree is rooting sweet olive cuttings. Sweet olive tree propagation works best with semi-hardwood cuttings. This means you need to take cuttings from the tree in late autumn. 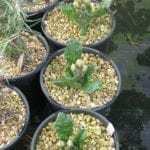 Before you take the cuttings, prepare the pots to plant them in. Mix sharp sand, perlite and milled coir in equal parts. Add water slowly, mixing the combination thoroughly until the coir is moistened. Get 6-inch plant pots with drainage holes on the bottom. You’ll need one for each sweet olive cutting you intend to root. Press the sand mixture into the pot, pushing it in firmly to get rid of any air pockets. Poke a hole in the sand about 4 inches deep. Use sharp pruners to take the sweet olive cuttings. Snip off tip cuttings about 8 inches long. The best tips for sweet olive propagation will be flexible with green growth at the top end but brown bark at the bottom. Make the cuts at an angle. Then use the pruners to remove all leaves from the bottom half of each cutting. Remove half of each leaf on the top half of the cuttings. You’ll succeed in propagating sweet olive trees by rooting cuttings if you don’t use a rooting hormone compound. But the process might be quicker if you do. 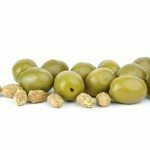 If you decide to use a rooting compound, pour some out on a dish and dip the cut end of each sweet olive cutting into it. Then put each cutting, base end first, into one of the pots. It should go into the hole you made in the sand. Press the sand in around the cutting and add a little water to settle the sand near the stem. The ideal temperature for sweet olive propagation is 75 degrees Fahrenheit (23 C.) during the day and 65 degrees F. (18 C.) at night. Use a propagation mat to control the temperature in an unventilated cold frame. Keep the soil moist and mist the leaves every day. You should have roots on about 5 weeks. This means your sweet olive tree propagation was successful. Keep the rooted cutting in a protected place until planting time. Read more articles about Osmanthus.